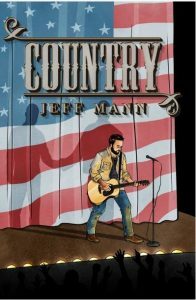 The audiobook of Jeff Mann’s, Country is now available at Audible.com. Country is published by Lethe Press and the audiobook is narrated by Randal Schaffer. Brice Brown sings about loyalty and broken hearts, the earnestness of being a proud Southerner, yet his popular country music lyrics are misdirection because Brice has kept hidden his attraction to men for all his life. But when a former lover – and band member – goes to the press with the truth, Brice finds himself sick of all the lies and returning to the sanctuary of his West Virginian hometown. The neighbors who used to be proud of the “local boy made good” turn on him. His record label cancels contracts, his wife files for divorce, and he finds himself disgraced and despondent. But then Brice learns from a fan that there is a compound in central West Virginia run by a man who has helped troubled gay youth overcome their self-loathing. Brice takes a chance at redemption and finds the retreat in the woods. The owner, only a few years older than Brice, is a kind-hearted soul and does not turn him away and offers a friendly ear and comforting words. Conway Twitty once said, “Listen to advice, but follow your heart.” And the man’s nephew, Lucas, who serves as the handyman at the compound is a tempting young man, simmering with resentment at his past, angry at how he sees his future will be. And Brice thinks that Lucas is attracted to him but both men are hurting. Can they rise above the condemnations the world has given them and find something meaningful…together?